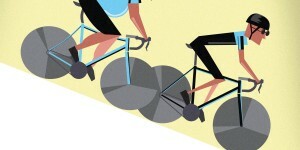 Cyclist: How did you get started in the bike-building business? 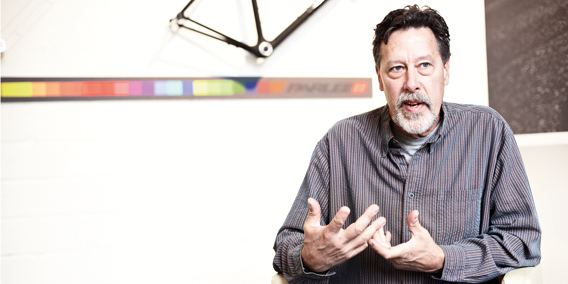 Bob Parlee: I started off building high-performance boats, but was always interested in the design of bikes. So I started doing some work with aero forks and various parts and tried to sell those designs. I was just walking around shows with parts I had built. Everybody thought they were nice except all the big companies design in-house – they don’t buy designs from other people. I realised early on that if I wanted to get into the bike business I was going to have to do it on my own. At that time I was racing bikes – I enjoyed it despite never getting much success – but I was never satisfied with the performance I was getting from the bike. I felt that with what I knew about carbon fibre from the boat industry there could be some crossover. I started my own business and took approximately two years to develop the first tubes in around 2000. Cyc: Your bikes have been through a lot since then. What have been some highlights? BP: There are a few that stand out. Tyler Hamilton was one of my most exciting customers early on. He rode the bike in a few tours and crashed the bike quite regularly. I remember after one pretty dramatic crash in the Giro d’Italia I was scared to death that I had blown Tyler Hamilton’s race career but it turned out it was the wheel, not the bike, that had let him down. He was even able to continue riding the same bike. One of my favourite comments was when his wife came up to me and said, ‘You know, Tyler’s a lot nicer guy after spending a day on your bike than his other one.’ Jörg Ludewig [German ex-T-Mobile rider] also has one of my bikes – the Z5. The first day he got on it and went down a descent at about 50kmh he took his hands off the bars to see if the bike kept on tracking, and it did, so he started hitting the top tube to make it wobble, but it was very stable and he was just in love with the bike from the beginning. Cyc: Which of the bikes you’ve built is closest to your heart? BP: It has to be the Z1. I can remember the first one I built. The shop was 50 kilometres from my house and so I finished the bike, finished the lay-ups, sanded it down, put all the cable stops on, built the bike up and rode it home. It had no paint on it or anything. It looked a little crude, but 15 kilometres into the ride I was thinking, ‘This feels nice and nothing’s come undone.’ Then 30 kilometres into the ride I was a little more ecstatic, as I was heading over some hills. By the time I got home I really felt like I had done it. It was doing what I wanted it to do. The bike just felt phenomenal. That was a very special first ride, and I still ride Z1s. Cyc: In your eyes, what makes for good carbon? BP: Well, when I teach my employees how to build bikes, the first thing I say to them is just the old-school comment – neatness counts. The neatness in terms of the lay-up – you don’t want fibre to be stressed or wrinkled or anything, it needs to be a very clean and precise lay-up. If you look inside one of our bikes, the inside of the frame is as neat as the outside. Other people are starting to talk about this now, but we’ve believed in it from the beginning. Cyc: You were one of the first to break the 900g benchmark for frame weight, as well as the 800g. Is the weight still coming down? BP: I’m at a real comfortable level with the weight of our bikes at the moment. We could probably get some weight out of them. For the Z-Zero we’re at that 850g range and my main concern is ride quality and performance. We want to be able to manipulate that ride so we can fine-tune it even more for a particular rider rather than just cutting weight.  Cyc: Why do your top-end bikes go for lugs as opposed to monocoque? BP: Well, in our Z5 we do use a monocoque, but in the Z-Zero, 1, 2 and 3 we chose to do a lug and tube construction. This is so we can vary the geometry, we can build to size and we have a greater range of variables. We recently built a bike for a woman who was 4ft 8in and the same week we built a bike for a rider who was 7ft tall and about 136 kilograms. So this construction is essentially about customisation. Cyc: Your bike designs are quite simple, almost traditional. Why is that? BP: We’re producing an aero road bike at the moment that has a little more shape to it, but in terms of tubes I’m a firm believer in keeping the lines simple and straight. Carbon doesn’t like to be moulded into extreme shapes. Ideally it wants to run in straight lines. If you think of uni-directional fibres running straight, when you try to bend them around extreme shapes the fibres split apart. It may seem like an aesthetic choice, but for me the performance dictates the aesthetics. A bike looks best when it’s as straight as possible. Cyc: What do you say to people who think that there’s no love in making carbon compared to traditional materials such as steel? BP: I get that a lot. People used to say that ‘steel is real’, but look at the process we go through. When I started building bikes I just had sheets of carbon fibre and I built my own mandrels to roll the carbon fibre onto so I could manipulate it. I can make it stiff, I can make it compliant, I can make it lightweight, I can make it very strong, I can manipulate that tube to do anything, within reason, that I want it to do. A steel builder or a titanium builder or an aluminium builder has to go and buy a tube from somebody that everyone else in the industry buys tubes from. It’s the same tube, so what can they do to manipulate that material for performance? The only ‘real’ material out there is carbon.